Forty-five years ago this playground made quite a splash at Expo 67, the 20th century’s most successful World Fair. For a few weeks during Canada’s 100th birthday festivities, Montreal’s Expo was the cultural crossroads of the world. In that global village mashup, that summer of celebration and exuberance, the Canadian pavilion put children front and centre. The playground at the Canadian pavilion was a must stop for the 10 and under set. By North American standards it was cutting edge, ahead of its time, as can be seen in this short excerpt from a National Film Board of Canada documentary. Landscape architect Cornelia Oberlander had a great stage to share her playground design ideas with an international audience and the 30,000 appreciative kids who played there over the course of the summer. 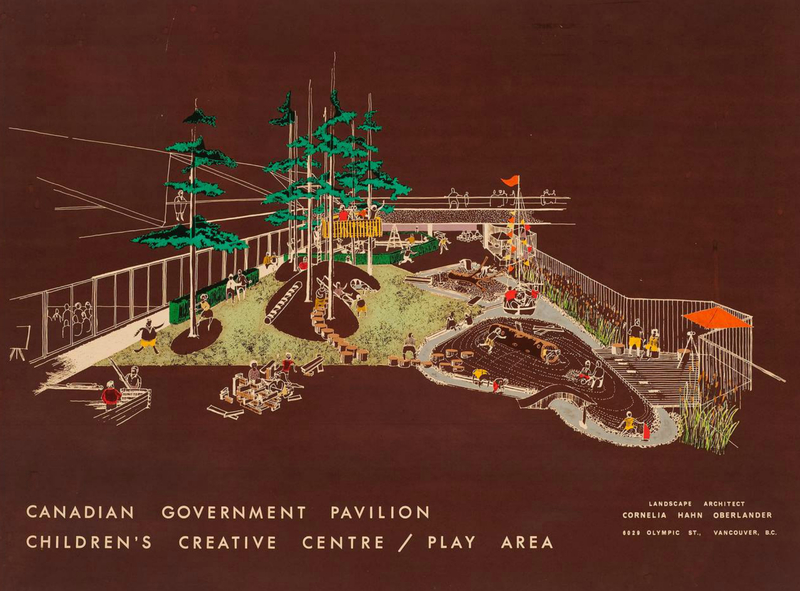 The playground especially designed for Expo ’67, in conjunction with the Children’s Creative Centre, should provide some new ideas for crowded urban communities. Everywhere in cities there are areas that could be made into “vest-pocket parks”, with mounds, ravines, treehouses, streams for wading, and places for building. See Oberlander’s entire Space for Creative Play text and a letter to the editor of Maclean’s magazine about the playground here. Cornelia Oberlander is now a doyenne of the landscape architect circle. I have seen her referred to as the Queen of Green. The ideas she put in play at Expo 67 are increasingly in vogue. A case in point is the burgeoning interest in natural playscapes. Cornelia, thanks for the Expo 67 gift that keeps on giving. It’s as relevant and exciting today as it was forty-five years ago. More on Expo 67 here and here. 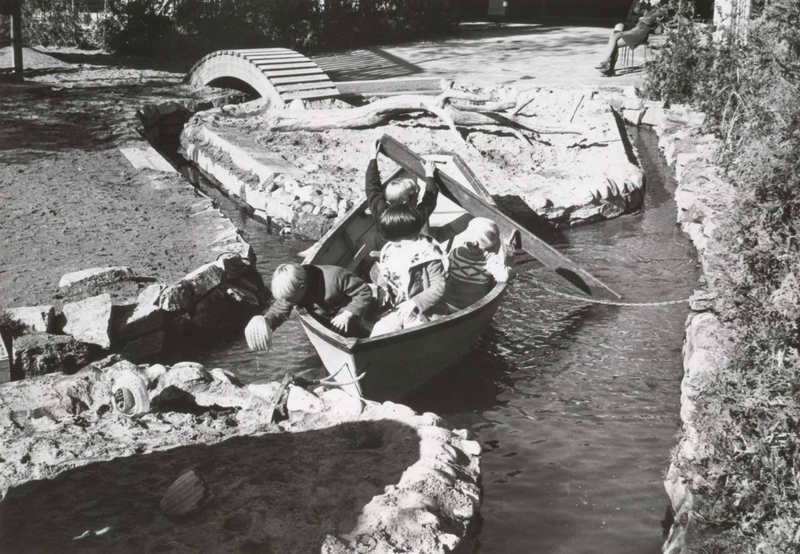 More on Cornelia Oberlander in future PlayGroundology posts. 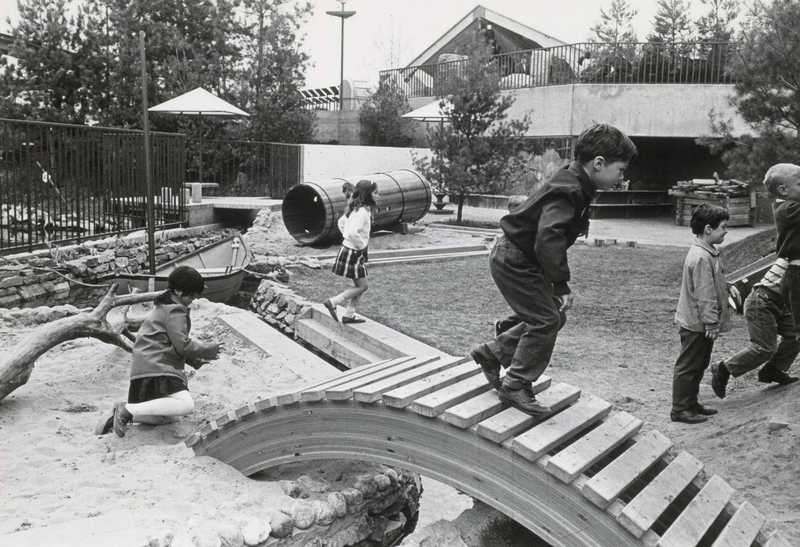 This entry was posted in Canadian Centre for Architecture, Canadian pavilion, CCA, Cornelia Oberlander, Expo 67, landscape architecture, Montréal, playground, PlayGroundology, playgrounds, Playgrounds Montréal. Bookmark the permalink. Here’s an EXPO post you may find interesting! Thanks for the information. Have fun in Calgary, sorry Elisabeth and I can’t be there. My regards to all our friends in play who are able to come.